Well lots of folks have been asking … Do I need a new fancy Canon or Nikon flash to work with a FourSquare? No you don’t. What I have pictured here is three old Nikon Flashes that are being “driven” by a PC sync. The unique thing is I had Michael Bass of Michael Bass Design make me a four cord PC that goes into a single mini-phone that plugs into my Pocket Wizards. 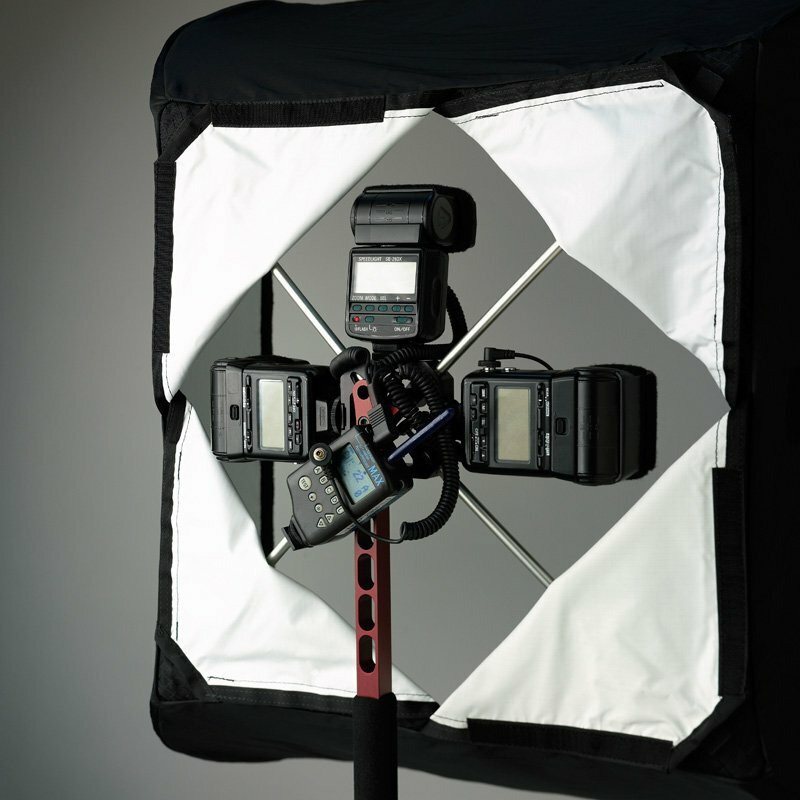 Any ol’ speedlight that has a PC connection and a hot/cold shoe will work great with/on/in the FourSquare. What better way to make use of stuff in the closet or a cheap purchase on line. You can make the FourSquare “pop” like the big strobes and really improve the look of your images in the studio or on location. Easy and portable, name of the game. One speedlight diffused in a FourSquare can make all the difference to that outdoor portrait. Thinking outside of the box will make your images better. Off camera, diffused or bounced … the solution is easy. Just experiment. With digital you can shoot until its right, no film to process.